We decided to figuratively take a test drive of the best car buying sites and see how they compare? We wanted to see how many of the same year, make and model are available on each site? That would be comparing apples to apples, right? And what is the median price of that same vehicle on each site? Is there a significant disparity? We haven’t seen this sort of test elsewhere and thought it might be not only fun, but illuminating. What are really the best online car buying sites? Let’s find out. Our method is as follows. We know that most new car leases are two, three or four years in length. We have noticed that more Dealership used cars are available after two years, rather than three or four. So we assume that means more people choose a standard two year car lease and then return it at the end. Hence more two year old cars in inventory and available online. We decided to use a radius of 50 miles from downtown San Francisco. That gives us a nice scientific pool of several million people. 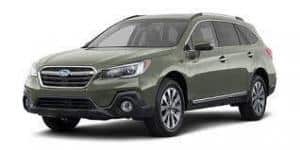 We chose to use a two year old used Subaru Outback as our test model, because it is roughly the 25th highest selling vehicle year after year in America. It is also in demand because of its durability and recent styling upgrade. Any of the car shopping sites would likely have a decent inventory of two year old Subaru Outbacks from which to choose. So here’s what it was like to shop for a two year old Subaru Outback on our baker’s dozen (13) best online car buying sites. All on the same day. There were 61 Subaru Outbacks matched on Craigslist. The median price was $23,200. Craigslist still holds up well. Roughly in the same ballpark as the other high inventory sites at 61 listings. But the median price was by far the lowest of our best car buying sites. About 10% lower than any other car search sites. That would suggest that the best car buying deals might be found on Craigslist. The Craigslist website and presentation is probably the worst looking of all these car buying sites. It is cumbersome, but we have all gotten used to it. Folks, ten percent less is … ten percent saved. That makes up for a lot of sins. Of course our test might be anecdotal, but our hunch is that there might be more downward pressure on pricing than other best online car buying sites. There were 60 Subaru Outbacks matched on TrueCar. The median price was $26,100. Of the car search websites, TrueCar is among the nicest to use. Intuitive and sleek, it is a breeze to navigate. Actually a pleasure. They seem to marry the listings found on Carvana, Vroom and elsewhere. There are plenty of vehicles laid out beautifully from which to choose. We highly recommend TrueCar. There were 66 Subaru Outbacks matched on cars.com. The median price was $25,200. The cars.com site is easy to use and very intuitive. Sixty-six (66) vehicles gives the user a wide variety of choices. Plenty of pertinent information in the result listing. We like it. There were 55 Subaru Outbacks matched on AutoTrader. The median price was $26,488. An okay number of Outbacks. We had to look for a moment for the Year parameter search field, which we obviously think is important. Like Google’s Sponsored Listings, AutoTrader displays above the organic search results a “Featured Dealer” listing. An advertiser pays extra for that, but there’s only one. The AutoTrader result listings are otherwise clean and easy to read. There were 45 Subaru Outbacks matched on KBB. The median price was $26,488. A fairly good selection of Outbacks. Easy to use, though we had to search for the Call To Action (CTA) button, which was located at the top. The results page is among our favorites. It is clean and very readable. If there were more results, we would have rated KBB higher. Inventory is more important than design. There were 16 Subaru Outbacks matched on Carvana. The median price was $26,500. Carvana actually owns the vehicles listed. That’s a very different system. There is no negotiating the price and the buyer orders a vehicle like he would a pizza. They tell you online how fast the car can be delivered. Since we are in the car shipping business and know how it works, we are more than a wee bit incredulous. There is no test drive. But there is some seller confidence. The buyer has seven days to return the vehicle and there is a 100 day and 4,189 mile dealer warranty. We like that. So if you know what you want, your risk is minimized. The Carvana website is clean and easy to use. There’s a lot to like here. Despite the low inventory and selection, we rate them high. Why not give them a try? There were 53 Subaru Outbacks matched on CarGurus. The median price was $25,999. These guys at CarGurus copied Google’s Sponsored results methodology. They display three sponsored advertisers first up top, then the natural organic results, followed by a final sponsored listing below. But only on the first page. It is annoying because the visitor must concentrate to ignore the first three results. It is otherwise a nice car search website. There were 67 Subaru Outbacks matched on Edmunds. The median price was $26,720. Only seven (7) Subaru Outbacks matched on Vroom. The price was $28,620. The scant number of vehicles on Vroom contributed to the highest median price on our list. They tout themselves as actually performing the opposite, that they take the haggling out of the process and offer a savings to the customer. We do not know if that’s true? We do know it is true of Cartelligent in California. We have witnessed their superior negotiating skills with dealerships. Vroom appears to have a similar business model. Maybe the way of the future? Regardless, we like Vroom and think they have one of the best car buying sites. If they had more inventory, we would surely rate them higher. There were 26 Subaru Outbacks matched on CarsDirect. The median price was $25,981. The CarsDirect site was a tad clunky compared to the others. Small text. Unusual CTA fields compared to most of the other sites. It feels like they need to redesign the site to make it more user friendly and attractive. The sort option from highest to lowest mixed up several listings. How hard can that be? Having only 26 results and a less than stellar website experience, we rate CarsDirect closer to the bottom of best used car websites. Only one (1) Subaru Outback matched on AutoTempest. When there is only one listing, there is no median price really. AutoTempest also displays the vehicles on other car search sites such as cars.com and craigslist. It is a mixed bag. The AutoTempest search engine is clunky to use and frankly we don’t see the value in going here to find online car dealers. Only one (1) Subaru Outback matched. The price hardly matters. Seriously, only one Outback within 50 miles? As they say in the south, that dog won’t hunt. A very disappointing experience. CarMax is a bit of a misnomer. CarMini is more like it. We recommend skipping this site. There were zero (0) Subaru Outbacks matched within 50 miles of San Francisco on ebay. The median price is quite naturally a mute point. Not only weren’t there any Subaru Outbacks available within 50 miles of San Francisco on ebay, the same held true within 500 miles. How weird is that? Obviously ebay doesn’t make it easy to kick the tires and look under the hood. One good thing, if you buy a vehicle on ebay, you should ship it with Direct Express Auto Transport. We recommend just about every other car buying site over ebay for the seller’s proximity to the buyer. Out of our Baker’s Dozen of 13 best used car buying websites, we found nine that were worth using. They are in order of our favorites: Craigslist, TrueCar, cars.com, AutoTrader, KBB, Carvana, CarGurus, Edmunds and Vroom. Regardless of where you find your car, if you need to ship it, there is no better website than autotransportdirect.com to get a reliable, competitive quote.